Fashion-conscious golfers quite often pay more attention to their attire than to their backswing, and few would be caught wearing just ‘any-old-thing’ as they make their way to the opening tee. And to add just the right touch, nothing compliments the latest mens golf trousers and ladies golf trousers than an eye-catching collection of golf belts. Any self-respecting golfer knows that becoming a better golfer is a time-consuming, attention-to-detail endeavour. The truly dedicated duffer spares no expense or sacrifice to take a stroke or two off his or her game. There is an aspect of golf, however, that requires a minimum of time and effort in order to obtain practically instantaneous results, and that’s looking good on the course. 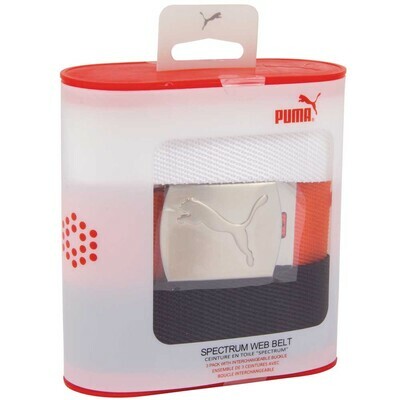 If you are looking for cool and youthful then also have a look at Puma Golf Belts. Get the same look as Rickie Fowler and Johas Edfor who are Puma ambassadors on tour. It should come as no surprise that one of the industry leaders in golf clothing is Adidas. As well as manufacturing top-flight sportswear such as shirts and Adidas golf trousers, Adidas also produces some of the most fashionable golf belts to be found. One of their more popular items is the Trophy Leather 2.0 belt. 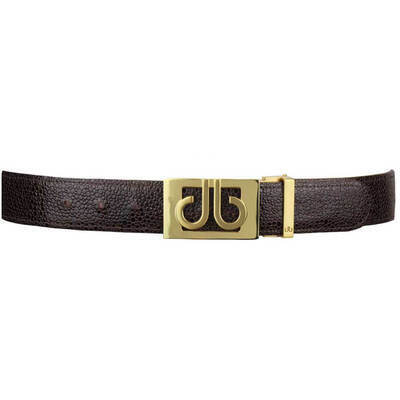 This ultra-stylish and fully functional belt features split leather and an interchangeable buckle of brushed metal. The 2.0 is available in two colours, black and white, and sizes are from 32 to 40 waist. For a cutting-edge appearance on the links, check out the Adidas Men’s Leather Dress Belt. This stylish black leather accessory features the instantly recognisable Adidas ‘three-stripe’ logo embossed on the buckle and is available in waist sizes from 30 to 40. For the fashionable lady golfer, Adidas offers the Ladies Trophy belt. Just as eye-catching and functional as the men’s Trophy, the Ladie’s version is available in pink, black and white and sizes available are Extra Small, Small and Medium. 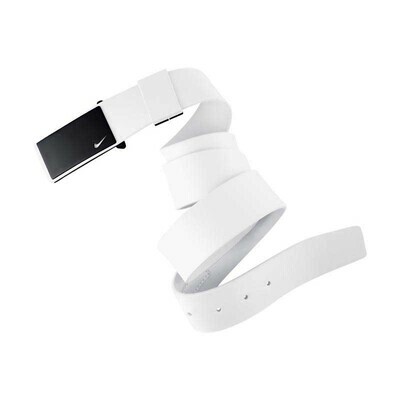 Lots of top golf brands now make white golf belts. 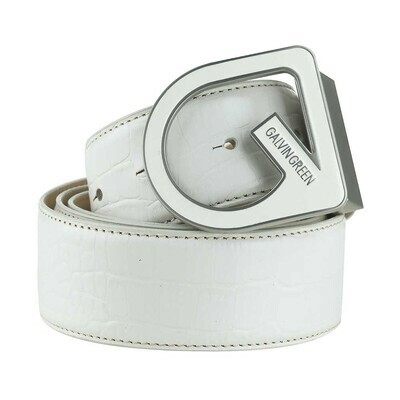 It’s a very popular look on tour and white belts can be paired with white golf trousers but also with other colours too. It’s probably easier to list the golf brands that don’t do white golf belts rather than the ones that do but my picks are Druh, Puma and Ian Poulter who all do really nice leather versions. Callaway Golf is another golfing apparel leader, and for an ‘old school’ traditional look, check out their Traditional Golf Belts. Made from premium full-grain leather and featuring am antique silver polished buckle, the Callaway Traditional adds a classic touch to any golfer’s look. Available in black and brown. 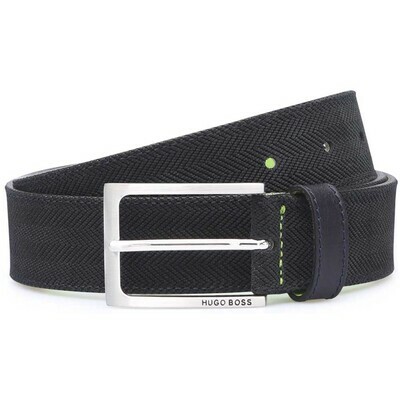 The Hugo Boss Apparel line features some of the most eye-catching belts on the market. The Black Traphic belt is part of the AW Collection and is made of the highest-quality cow skin leather. They’ve added a stylish new look to the buckle, with the patented Hugo Boss brand prominently embossed. For the golfer who values functionality above all else, the Mizuno MRB Webbing belt is made to order. Soft weave webbing makes for the ultimate in comfort, and one-size-fits-all. The buckle is embossed with Mizuno’s RunBird logo and is available with either a black finish or brushed satin. The MRB is offered in three colour combinations; White/Platinum, Black/Platinum or Red/Black. No golf wardrobe would be complete without apparel from Tommy Hilfiger. One of their most popular golf belts is the men’s Aimon. Featuring a stylish brushed metal buckle which perfectly accentuates the colour, the Aimon eliminates unnecessary ‘bells-and-whistles’ and provides a belt that is smart, stylish and meets every need. Available in white or chestnut, expect plenty of favourable comments when you show up wearing the Aimon.